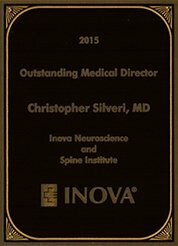 Dr. Silveri is a member of the American Academy of Orthopaedic Surgeons, North American Spine Society, Fairfax County Medical Society, and is currently on the staff at Inova Fair Oaks Hospital, Inova Fairfax Hospital, and Columbia Reston Hospital. 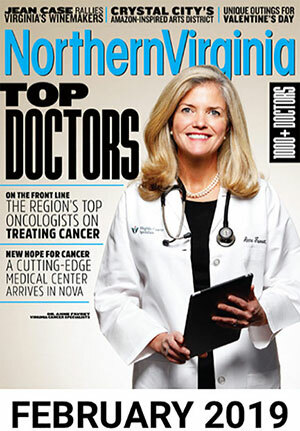 Inova Fair Oaks Hospital is the only Virginia Top 100 Hospital in the nation by Healthgrades America’s Best Hospitals. 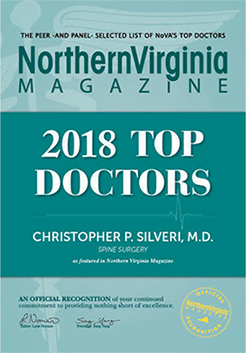 Dr. Silveri was selected as one of the top doctors for Spine Surgery 2019 by Northern Virginia Magazine. 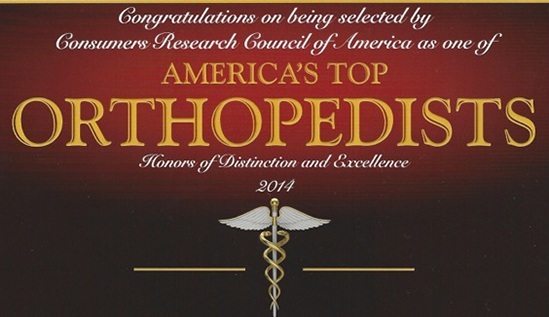 We want to recognize a milestone at Inova Fair Oaks Hospital. 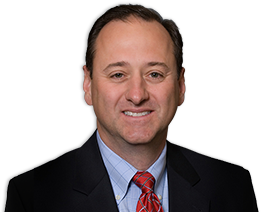 Christopher P Silveri, MD, board certified orthopedic surgeon and Director of Inova Spine Institute at Fair Oaks, performed the first spine surgery using new intraoperative imaging equipment. Dr. Christopher Silveri shared, “We are fortunate to have a new cutting edge spine imaging tool at Inova Fair Oaks Hospital. 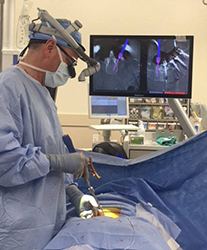 This technology allows the surgeon to navigate procedures using real time images, maximizing safety and efficiency. 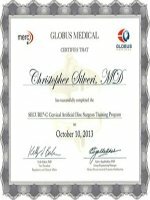 These three dimensional images merge clinical experience with computerized technology and allows for real time adjustment of instrumentation in open and minimally invasive procedures. O-Arm Surgical Navigation of Lumbar Pedicle Screw Trajectory. 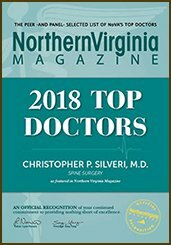 Dr. Silveri was selected as one of the top doctors for Spine Surgery 2018 by Northern Virginia Magazine. Evidence-based Treatment Options of Neck and Back Pain – Who Needs What and When. 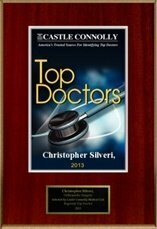 Dr. Silveri was recently honored by being selected as a DOCTOR OF EXCELLENCE by the Board of the Leaders in Healthcare Network. 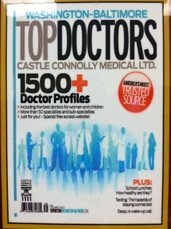 This designation highlights those physicians considered among the world’s leading doctors, and have demonstrated success and leadership in their profession. 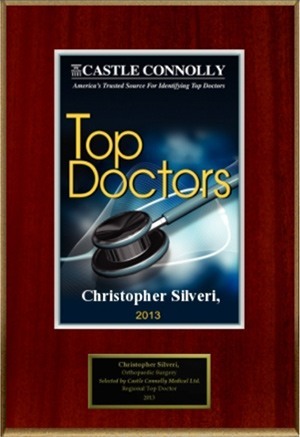 Dr. Christopher Silveri, M.D is now performing outpatient spinal surgery at the Advanced Surgery Center of Bethesda. 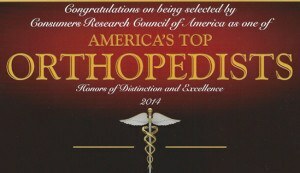 Dr. Silveri has been selected as a Top Doctor in Fairfax, VA., by the International Association of Orthopaedic Surgeons (IAO). 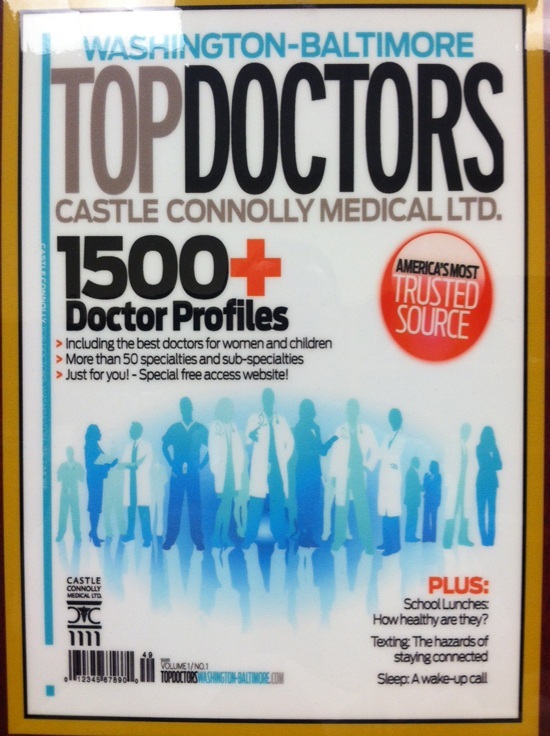 His credentials will be spotlighted in the renowned publication, The Leading Physicians of the World. 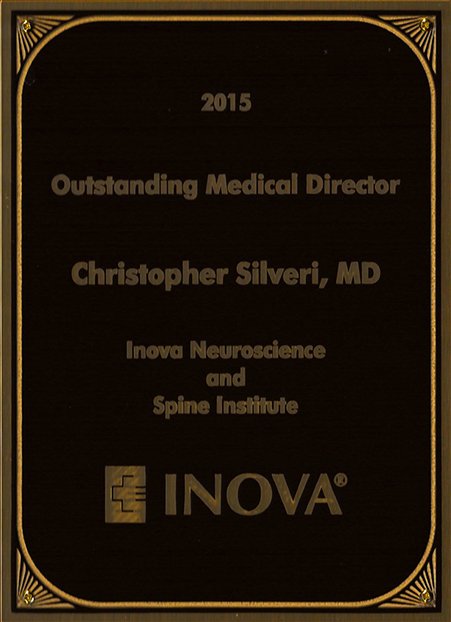 Dr. Christopher Silveri named Medical Director of Spine Center at INOVA Fair Oaks Hospital.